It's going to be a peri peri Christmas. Forget turkeys, yorkshire puddings and pigs in blankets - this Christmas it's all about the brand new Nandos Christmas menu. Yes, you read that right. For the first time ever Nandos have unveiled a Christmas-inspired menu featuring two new dishes. 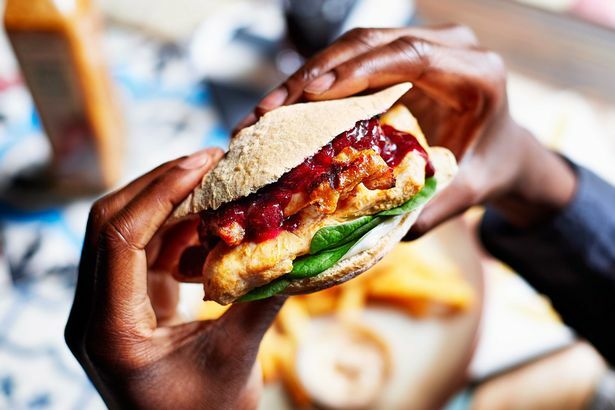 First up is the Nandos Christmas burger aka the 'Peri-berry burger', which is a Portuguese roll filled with a boneless chicken thigh and a chicken breast fillet, PERi-Berry Chutney made with cranberries, raspberries, and blueberries with a touch of spice. The second new dish is 'Peri orange wings'. These are classic Nando’s chicken wings, covered in a sticky, sweet glaze with a touch of orange. And don't worry, you can still choose your spicy heat levels. The new menu is available from 16th November. So, cheeky Nandos for Christmas dinner?